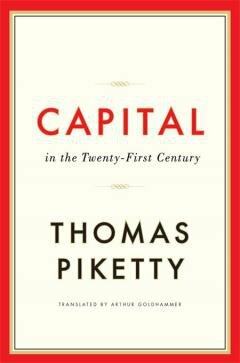 Professor Thomas Piketty sets out in his book “Capital in the Twenty-First Century” an essentially simple proposition. It is that if the growth rate, which currently averages about 1.5% per annum in advanced western economies, is substantially lower than the return on capital, which is typically about 5% a year, the capital stock will increase faster than GDP. Since ownership of capital is always unevenly distributed, those who already own above the average will gain at the expense of those less fortunate. The distribution of capital will become increasingly concentrated and inequality will become more and more pronounced, especially if this is accompanied by wider differentials on income from employment. To be sure, there are offsetting factors. Taxes on income streams from wealth may amount to as much as about 30%, reducing the gross return from 5% to 3.5% net, although much wealth is taxed much more lightly than this or not at all. Furthermore, not all the income which is left will be saved as some of it, at least, will be spent on current consumption. Nevertheless, the historical evidence strongly supports the basic thesis. Just before the outbreak of World War I, after many decades of accumulation among the advanced economies in Europe, the total capital stock was worth about six times national income, with the top 10%, on average, owning about 90% and the top 1% owning around 50% of it. The top decile received about 50% of GDP as income and the top percentile 20%. The hundred years between 1914 and now can then be split into three periods during which dramatically different trends became manifest. Between 1914 and 1945, there was massive destruction of capital, especially in Europe, while at the same time strong social and political pressures materialised everywhere which made incomes more equal, especially after tax. As a result, inequality dropped substantially. In Europe, the capital stock fell to being about three times national income with the top decile owning 75% of it and the top percentile just under 40%. The share in national income going to the top 10%, dropped from about 50% in 1910 to a little above 30% in 1945. For the top 1% the drop was from about 20% to 10%. World War II was followed by a second period, lasting about 30 years to the mid-1970s, when economic growth in the West was much higher than it had been before or since, redistributive tax policies were widely in vogue and there was almost full employment. As a result, although the ratio between the capital stock and GDP started to rise again, inequality broadly stabilised at the levels achieved by the end of World War II. The proportion of national income going to the top 10% was stable at a little over 30%. The third period, from the mid-1970s until now, has, however, seen a marked reversal back towards the levels of income and some of the wealth disparities seen at the beginning of the twentieth century, caused by three major factors. Growth has slowed, raising the ratio between the value of the total capital stock and GDP and increasing the proportion of income arising from capital rather than earnings. Effective levels of taxation have gone down partly as a result of pressures from globalisation and partly driven by politics. At the same time, the distribution of income, particularly in the USA but to a lesser extent everywhere, has become markedly less equal. The result is that there has been a huge increase in inequality, especially in the Anglo-Saxon countries. By 2010 the proportion of national income going to the top 10% had risen to about 48% in the USA and 42% in the UK, with a much more modest – but still significant - increase to 35% in continental Europe. The spread of capital ownership, however, had changed in a different way. On average across the western world in 2010, the top decile owned about 65% of the capital stock and the top percentile 30%, which are lower percentages than in 1950. This was because, by 2010, a much wider share of capital assets, particularly in the form of housing, was in the hands of those in the 50% to 90% income categories. The bottom 50%, net of liabilities, however, still owned almost nothing. If there are no significant changes to the way in which western economies, in particular, are run, the trends towards ever increasing inequality look inexorable. Nowadays, as the discontent and the unpalatable political and social trends thus generated become ever more apparent to people across almost all of the political spectrum, at least in the UK, this does not look like a remotely desirable prospect. Disparities in wealth and especially in income are already clearly uncomfortably too wide. What can be done? Increasing the rate of economic growth Much of the force of Professor Piketty’s argument stems from the gap between his projected rate of growth for mature economies, estimated to be about 1.5% per annum, and the gross returns on investment of 5%. If, however, the growth rate could be increased to 4% to 5% per annum, which the Pound Campaign believes would be just as possible for a mature economy such as that of the UK as for developing economies, the crucial gap between the percentage rates of growth and returns on investment would disappear. Professor Piketty assumes that this will never happen because he believes that developed countries’ growth rates will always slow down once they stop being able to catch up with the technology already deployed in the most advanced economies. While this perception is widely believed, Professor Piketty provides no growth theory to support it. On the contrary, the available evidence strongly suggests that the returns to investment in manufacturing and services do in fact remain more or less constant as living standards rise. Provided, therefore, that sufficient investment takes place, there is no reason why growth cannot continue at the same rate as before, as indeed it has done in countries such as Singapore, which now has substantially higher GDP per head than most of the West. Rebalancing the economy towards manufacturing The real reason why mature economies growth rates slow down is that, under pressure from established interests who benefit from a strong currency, they allow their exchange rates to become too high for their manufacturing industries to flourish. Investment in them then falls and skilled management is attracted elsewhere while the uniquely strong capacity of light industry, in particular, to produce high returns on investment is lost. The growth rate for the whole economy consequently slows up. Part of the battle against inequality, therefore, needs to be fought by ensuring that mature economies retain sufficient manufacturing capacity both to be able to pay their way in the world, thus avoiding the deflationary conditions caused by weak balance of payments positions, and to grow output per head by reaping all the benefits of increasing productivity which manufacturing industry can provide. Reducing unemployment Much of the increase in inequality which we have seen over recent decades comes from the much higher levels of unemployment across the West which have prevailed since the 1970s. Between 1945 and 1970, about 2% of the labour force, on average, was out of work. Nowadays, including everyone who would be willing to work if jobs were available at reasonable wages, the true unemployment rate fluctuates between about 10% and 15%. As a result inequality increases both because joblessness reduces incomes and because it weakens the bargaining power of labour generally. This is a major why the proportion of GDP going to wages and salaries has declined so sharply in the UK from 64% in the early 1970s to about 54% now. If unemployment could be reduced towards 3%, which the Pound Campaign believes would also be possible, this would do more to reduce inequality than any feasible tax and redistribution system or any likely changes to the pre-tax distribution of income. Reducing indebtedness One of the main generators of inequality is increasing debt, the interest on which gets paid mostly to those who are already well off. Government debt, which is created partly because the rich use their influence to enable them to lend money to the government rather than paying it over in tax, is particularly pernicious, partly because of its scale and partly because the interest paid on it has to be funded by taxation much of it, at the margin, falling on relatively poor people so that it then finishes up by being highly regressive. With the growth proposals put forward by the Pound Campaign, government debt would fall over the next ten years to about 60% of GDP whereas with current economic policies in operation it may be as high as 125% of GDP by 2025. Especially if, by then, interest rates are significantly higher than they are at the moment, other headings of expenditure will be squeezed even more severely, at the same time as vast additional wealth in the hands of the already rich will be generated by the creation of more government debt. Toughening up on tax avoidance There are many well known problems about wealth taxes which makes them much less practical to collect than taxes on income or consumption. One of the main reasons why inequality has become so much greater is that so much of the income from capital is not taxed the way it could be either because of legitimate avoidance schemes or because of illegal evasion. In these circumstances, tightening up on existing tax avoidance and evasion country by country looks a more promising approach than establishing a world wide capital tax system. While international co-operation would certainly be a help, much could be done by individual economies if the will to do so was there. Professor Piketty puts forward a powerful and well documented case for believing that if nothing is done to change existing policies, there are likely to be further dramatic increases in inequality. It has been argued that this does not matter that much if everyone benefits from greater prosperity. This is certainly not an argument which appeals to everyone, but – even if it did – a general trickle down of rising living standards has not, by a very wide margin, been the experience across much of the West in recent decades. Instead, what relatively little increase in national income there has been has gone overwhelmingly to those who are already well off. This is why stagnant living standards are such a powerful political issue and why the inability of our politicians to stop them happening is doing so much to undermine their credibility and the respect which the electorate has for them. We need to do all we can to ward off the further dramatic increases in inequality which will certainly be in store unless action is taken to stop them materialising.